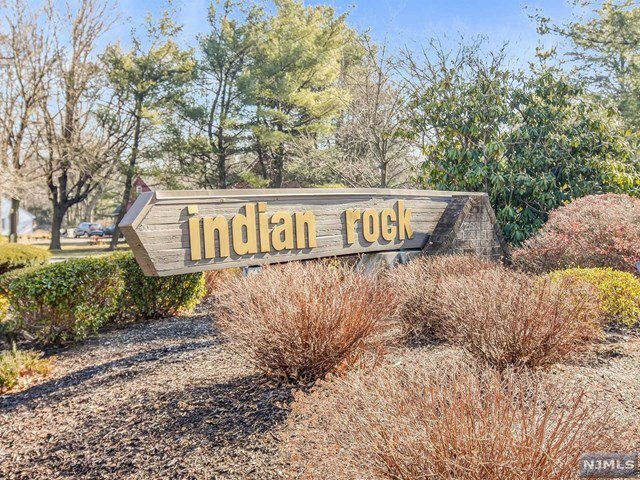 Welcome to Indian Rock-the premiere townhouse development in the sought after town of Glen Rock. This spacious home offers over 2500 SF of finished space.Beautifully renovated eat-in kitchen boasting quartz counters & stainless steel appliances.Off the kitchen is a terrific den/home office w/hardwood floors & skylight. An open floorplan DR w/SGDs to a private deck,then back inside to a breathtaking great rm w/fpl & soaring ceilings.PR & access to 2 car garage complete the 1st level.Upstairs is a stunning MBS w/cathedral ceilings, 2 WICs,& renovated spa-like bath w/double sink vanity,jetted tub,& separate shower.Completing the 2nd level are 2 addl BRs,an updated bth,& laundry.The lower level will fill so many needs w/2 rooms-one w/glass door to a covered patio.The 2nd rm is a fabulous FR w/wood burning stove-a perfect guest room since there's a full bth as well! Plenty of storage,central vac,convenient location to NYC trans,shopping & schools-voted #2 in the state by NJ Monthly! Listing courtesy of Keller Williams Village Square Realty. Selling Office: Coldwell Banker, Ridgewood.